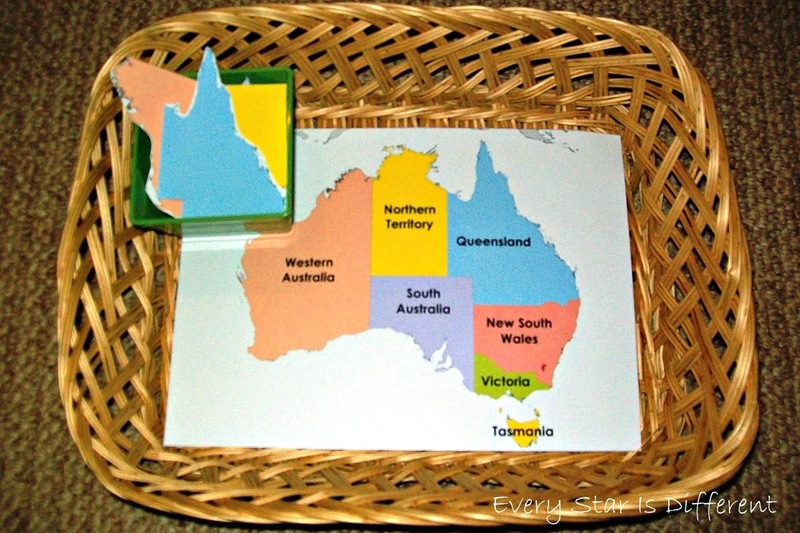 I'm super excited to share our Australia Unit with free printables. There is so much to learn about this amazing place! Part of the Oceania, this country/continent is so unique with endless fascinating things to learn about. My kiddos couldn't get enough of these activities. This is what's on our shelves! 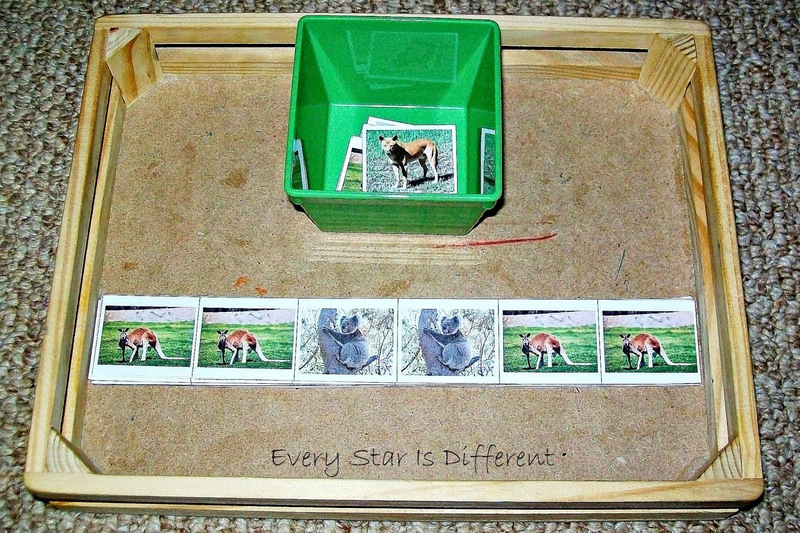 The kiddos will stamp the circle under the correct spelling of each word. 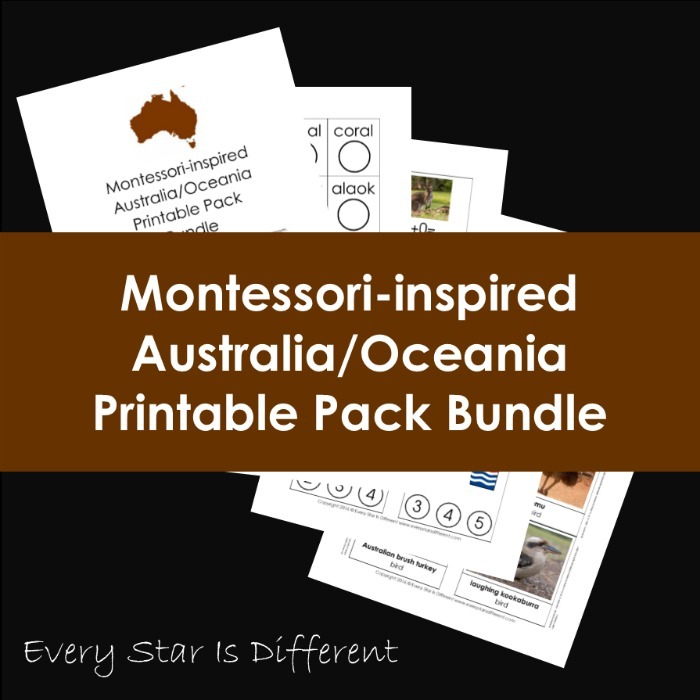 Source: I created this printable as part of my Australia Unit Language Printable Pack 1. This is a subscriber's only freebie. See directions at the bottom of this post on how to access your free copy. 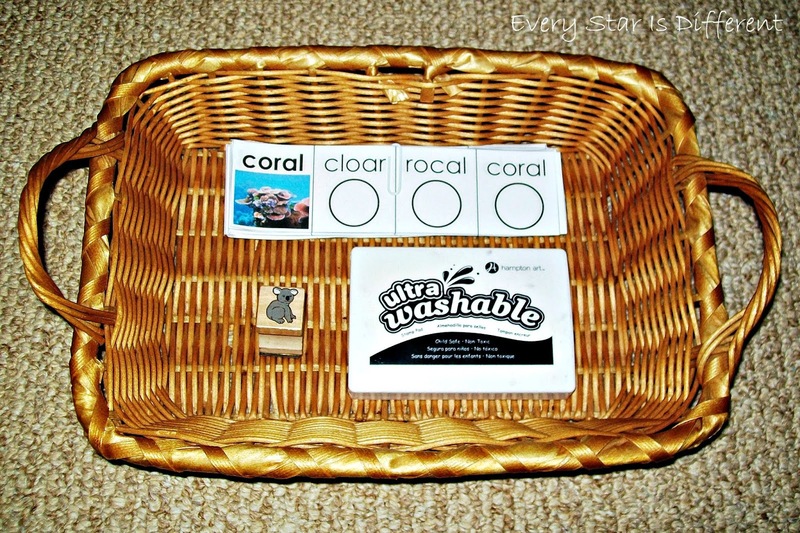 The kiddos will match up the Australian word & picture cards with the USA word and picture cards. Already this has been a favorite activity, even in creation. I must say, I think I prefer "fairy floss" over "cotton candy." Last month we studied prepositions, but never applied the knowledge to sentence structure. This week we'll do just that, learning more about Australia as we go along. The kiddos will finish the pattern strips with the pictures provided. Source: I created this printable as part of my Australia Unit Math Printable Pack 1. This is a subscriber's only freebie. See directions at the bottom of this post on how to access your free copy. All of the kiddos really enjoy the bar graph activities on the shelves. This week I decided to step it up, by adding and extra die to the activity. 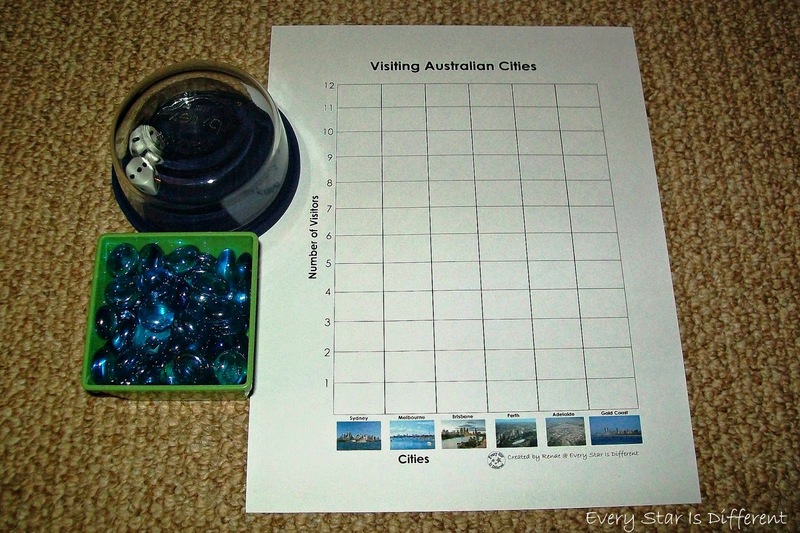 The kiddos will add the dots on both dice to determine how many people visited each Australian city. They'll use the beads to create the graph. This activity is for Dinomite. He loves animals more than anything else. Of course the other kiddos will enjoy it to. The kiddos will sort the animals anyway they choose, learning names etc. Source: I created this printable as part of my Australia Unit Science & Culture Printable Pack 1. This is a subscriber's only freebie. See directions at the bottom of this post on how to access your free copy. Dinomite is having an EXTREMELY hard time with his writing right now. In an effort to keep him practicing, I've decided to make his writing assignments about what he wants to write about. 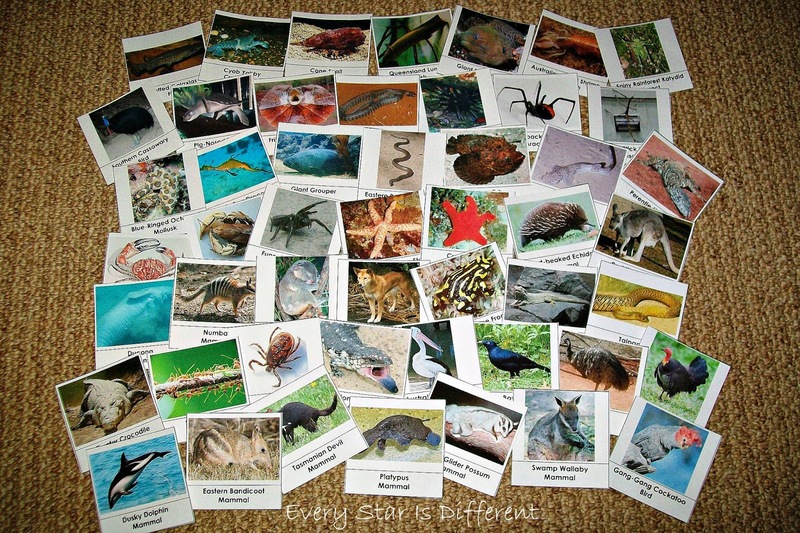 I've created Animal Writing sheets for him to use each day, selecting an animal of his choice. There is also a box for him to draw a picture of the animal. 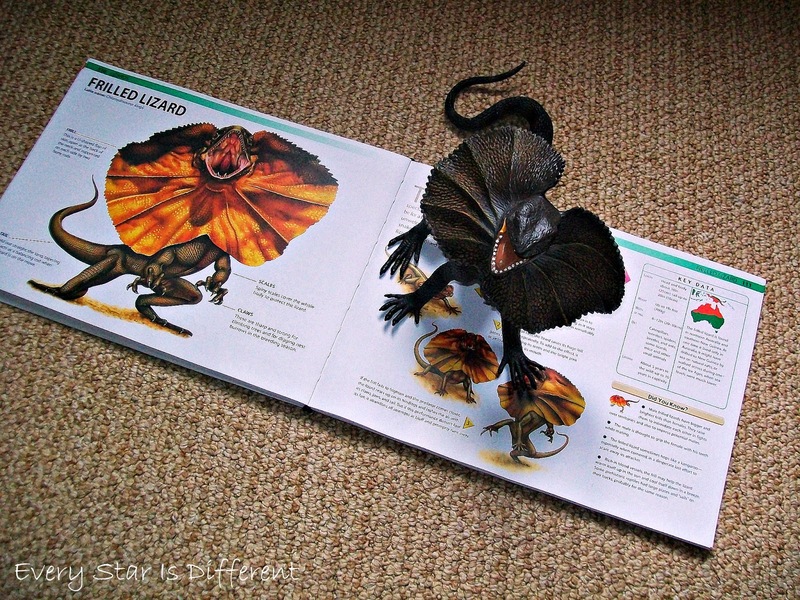 Since Dinomite freaks out about spelling on a regular basis, I also allow him to use his books to help him write what he wants to say. This has been a great way to teach him about not copying other people's sentences, but to create his own. I'm hoping to introduce a dictionary to him soon. Source: If you would like a free copy of our Animal Writing Worksheet, click HERE. The kiddos will identify climate zones on the map by color. They will use the key to pair up color code cards with picture of climate cards. I'm excited to review climates. It's been a long time! The kiddos will use the control map to help them put their own map together, using the pieces and labels provided. Source: I created this printable as part of my Australia Unit Science & Printable Printable Pack 1. This is a subscriber's only freebie. See directions at the bottom of this post on how to access your free copy. The kiddos will match up the people cards with their talent. I'm hoping this will help the kiddos understand what Australia's social culture is like. It looks like fun! Source: Source: I created this printable as part of my Australia Unit Science & Printable Printable Pack 1. This is a subscriber's only freebie. See directions at the bottom of this post on how to access your free copy. The kiddos will try out dot painting this week. They should have tons of fun! 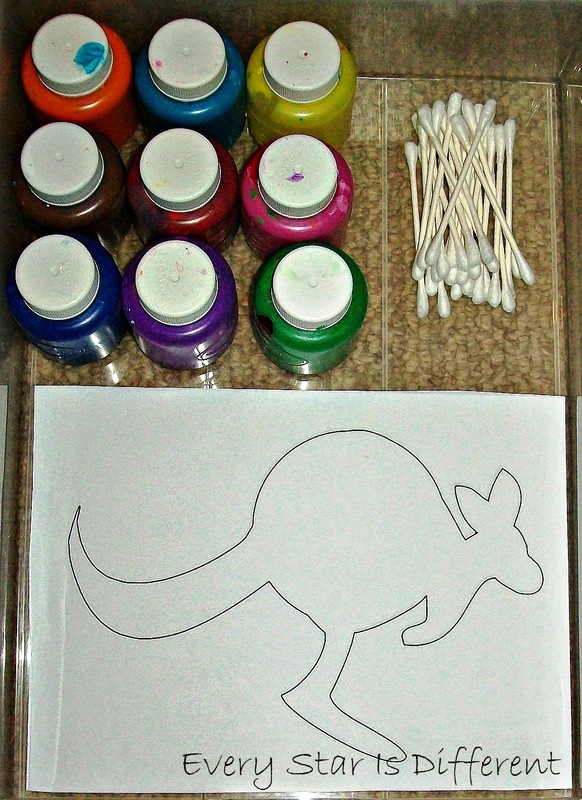 Source: The kangaroo outline used for this activity is from Free Kids Crafts. I fell in love with this activity when I saw it. Hopefully the kiddos will enjoy it too. They will use all of the parts provided to create the flag of Australia, using the control provided. Source. 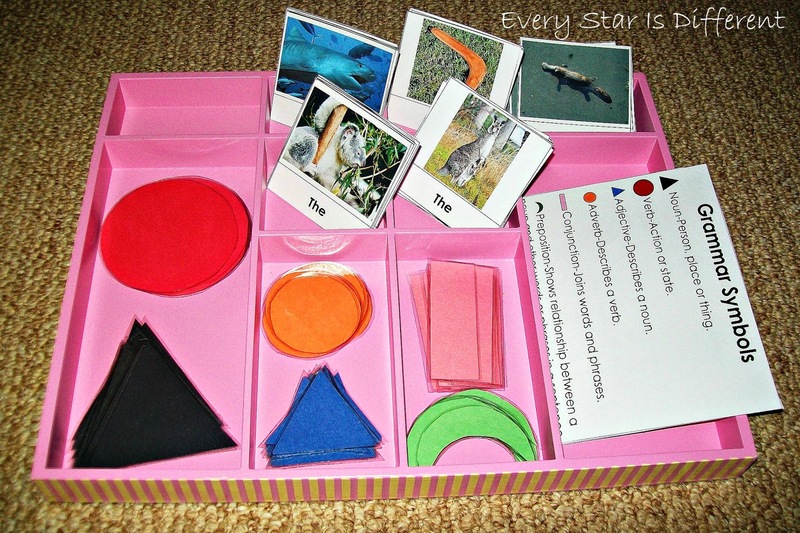 I found this activity at A Little Learning For Two. 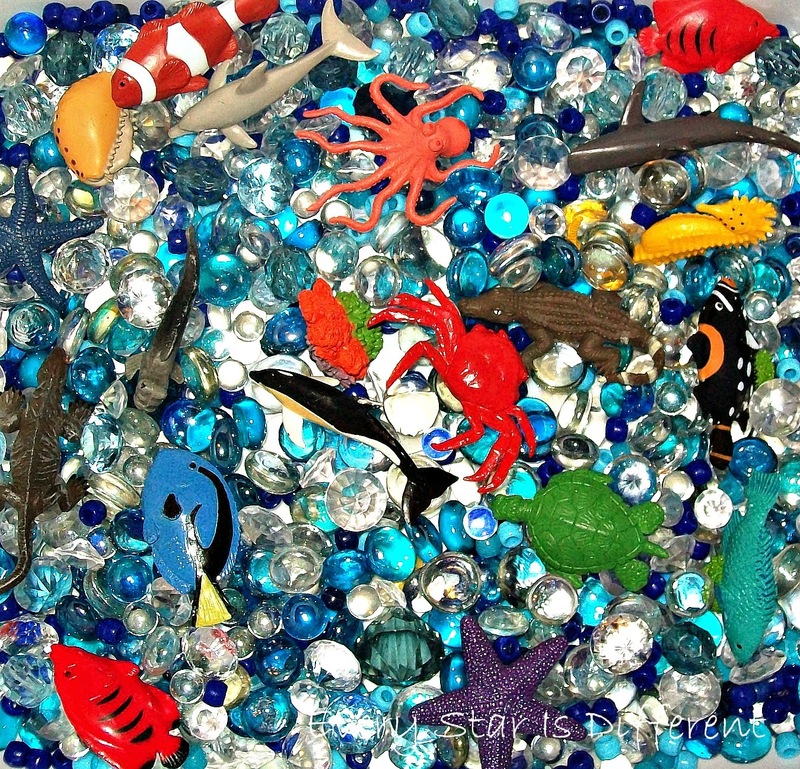 The kiddos should love this sensory bin. I couldn't figure out what to use for the actual reef, but hopefully this looks okay. 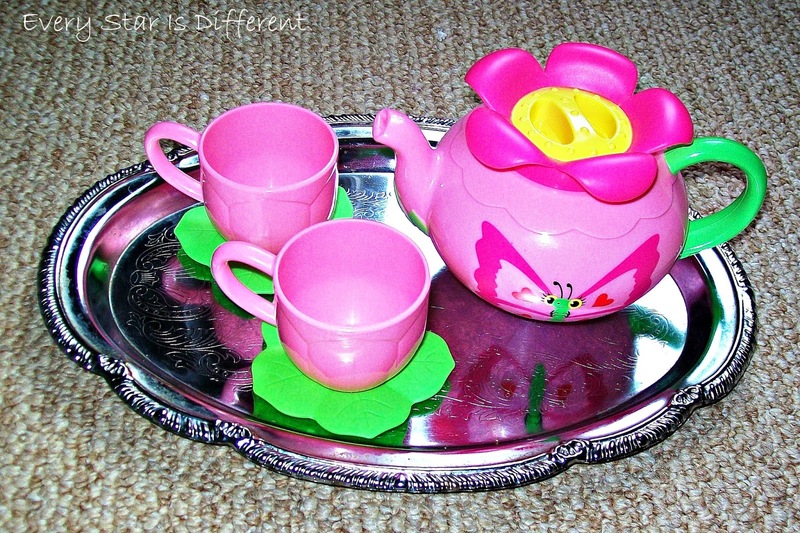 The kiddos will practice pouring "tea" and serving it with Princess' tea set. I LOVE this activity. I think it's my favorite on the shelves this week. In Australian culture, it's very popular to have Fairy Bread at kid's birthday parties etc. Fairy Bread is white bread, covered with a thick layer of soft butter, sprinkled heavily with those hard candied dot sprinkles. If this doesn't make sense, just look on pinterest. I think it tastes delicious, although I can't eat more than one slice. This activity invites the kiddos to practice spreading, spooning, and cutting all in one activity. Who wouldn't love it? For those interested in the printable packs, follow the directions below. We hope you enjoy your free printable! Thanks so much, Renae. My daughter is a little Australian-American, so I've been wanting to do Australia as one of our first continent studies. Thanks for sharing all your hard work. You're welcome Audrey! How fun it will be to teach her about her heritage. Enjoy the process! 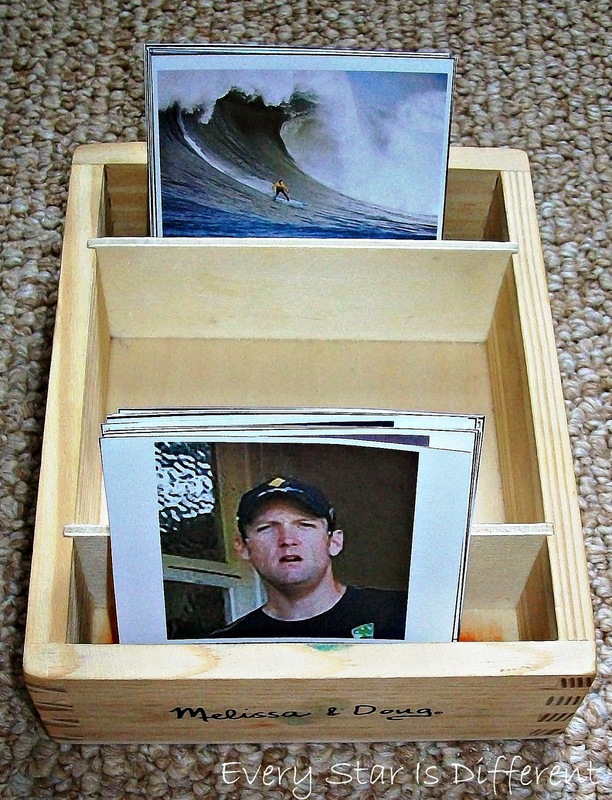 This is a wonderful unit that you have put together with some great ideas. Your printables are fantastic! Pinning and sharing! This is a fantastic unit plan that you have put together with so many great ideas! 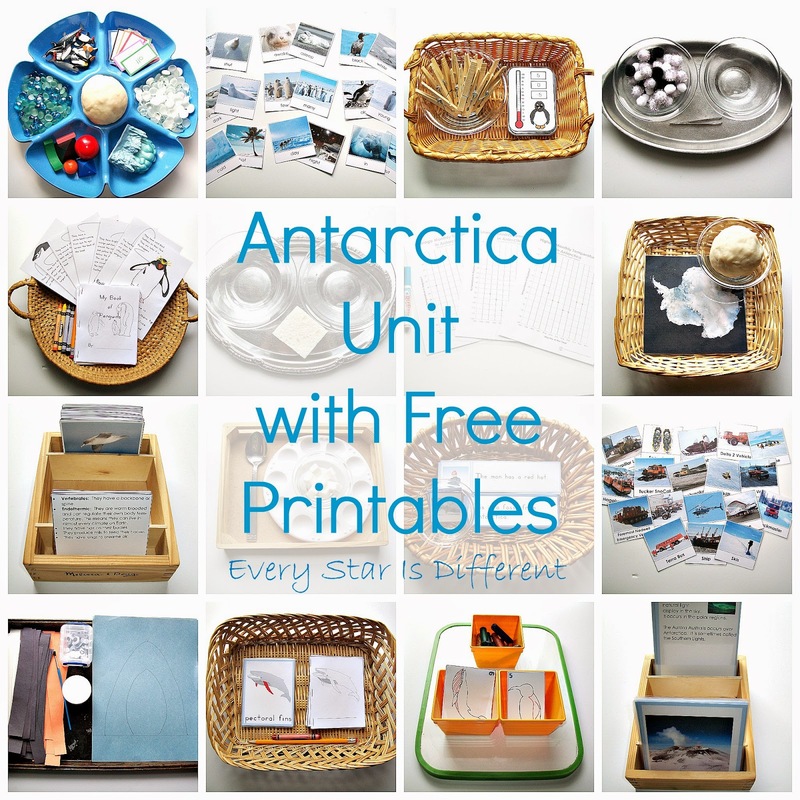 Your printables are wonderful! Pinning and sharing! Great activities! We need to do more continent learning, so I will have to pin this to come back too! 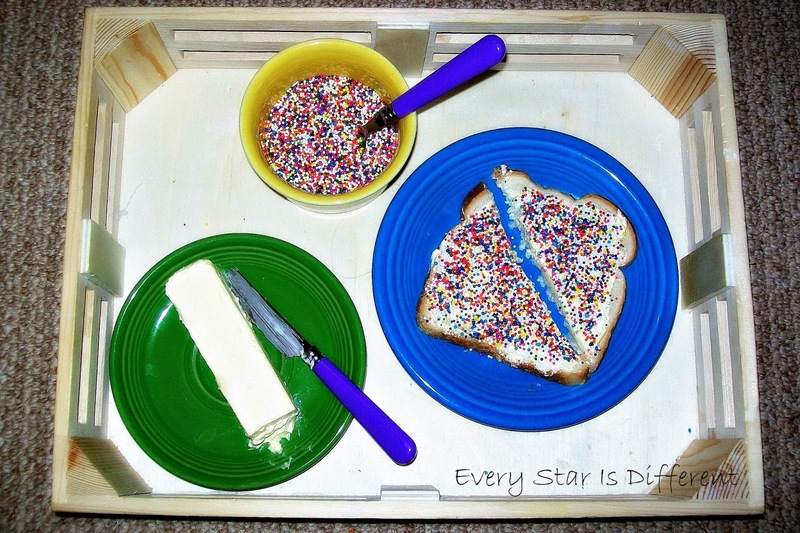 My kids enjoy fairy bread occasionally as well! Thank you Ashley. I wish you the best with your continent studies. I know they can be challenging. So happy to know someone else knows about fairy bread! Thank you! 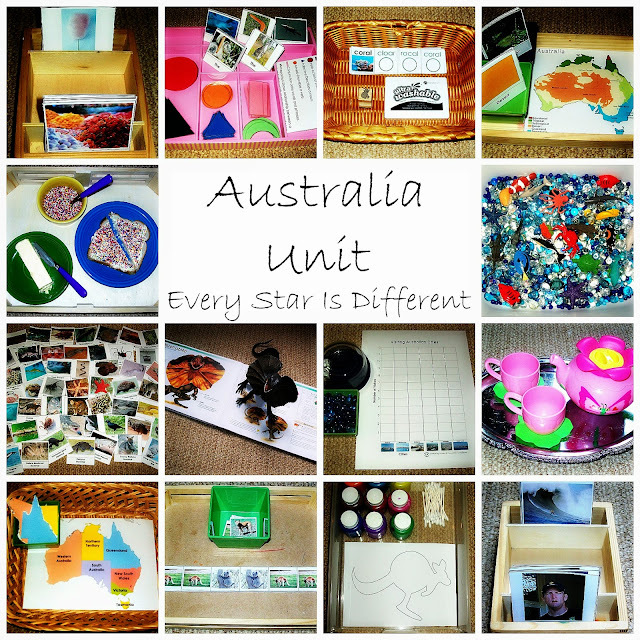 We will doing an Australian unit this summer and these are fabulous! You're welcome! Good luck with your unit this summer. Great unit. I am impressed how it's put together even without hands-on materials. I wish I had more input on writing - my daughter is not a big fan either, because it's not as easy for her as other subjects. So she can earn extra computer time by writing and then roll a dice for 6 different writing exercises (her topic, my topic, write a letter, summarize a book, create a story with three prompt words). Thanks for sharing this post with After School Link Up! Thank you so much Natalie! I wish you the best of luck with your daughter. This writing process can be so frustrating. I love your dice idea. I am so impressed with your creativity in curriculum development. Your units are a joy to witness. 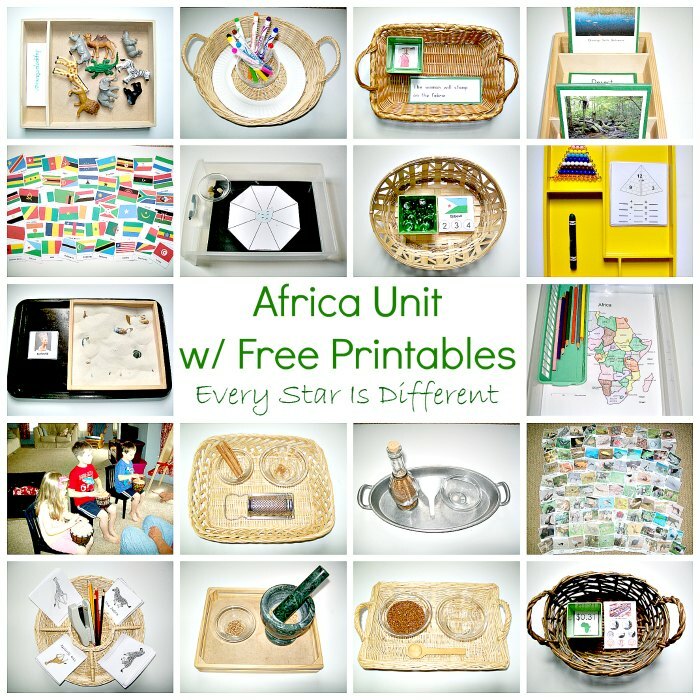 This is a fantastic unit and the printables are fabulous!! Wonderful! Love your spelling activity :) Will pin this! Thanks for sharing. These are really attractive to me. These resources are fantastic! 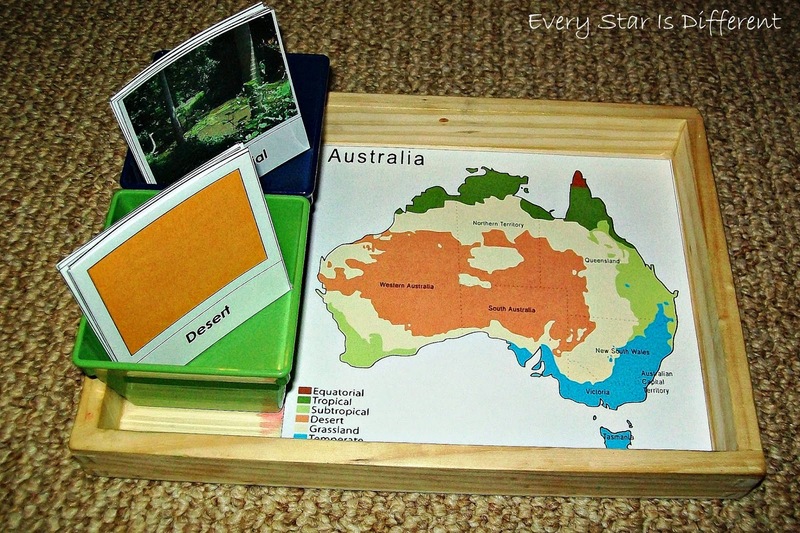 We'll be doing Australia in a few week in our survey of Children Around the World (http://desperatehomeschoolers.com/children-around-the-world/), and I'm so excited to incorporate more hands-on activities like these. Thank you so much for sharing! Thank you for sharing these activities. For the Australian animals I am using the Safari Ltd Land Down Under Toob. It includes a Koala, Emu, Platypus, Cockatoo, Kangaroo, Dingo, Tasmanian Devil, Wombat, Frilled Lizard, Taipan Snake, Crocodile, and an Aboriginal Man. 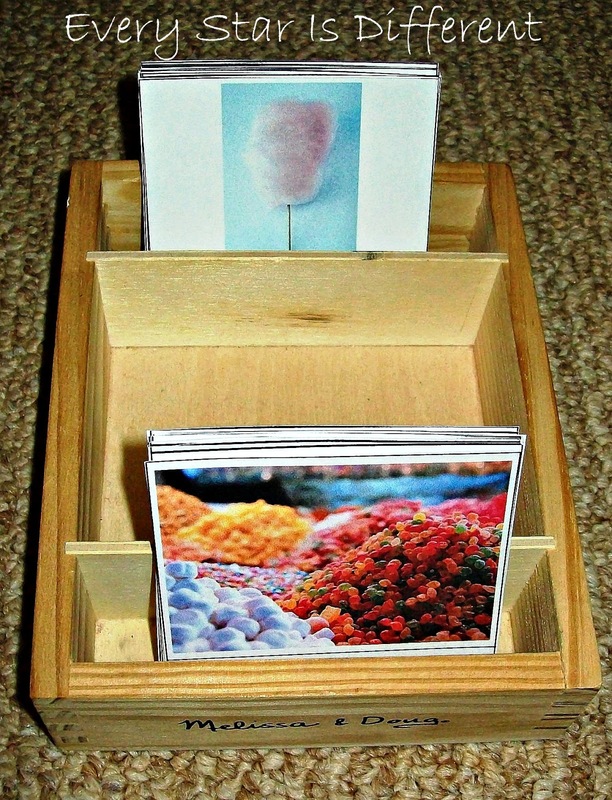 It's perfect for sensory play. Thank you for the great printables! Just what I needed for my kinder and 3rd grader for our Australia mini unit!